Return to the digital dugout for the most comprehensive footie management simulation around. If Manuel Neuer saves this I might keep my job. I mean, it was never a penalty. No one on the pitch thought so, not even the ref and his assistants. But VAR has bitten me on the backside, and now my time at Bayern Munich hangs in the balance. Football Manager 2019's latest matchday feature is ruthless. Video Assisted Referee, or VAR as the system is most commonly known, was introduced to real-world football at this summer's FIFA World Cup in Russia. Designed to aid on-pitch referees with contentious decisions, an off-pitch official watches the game remotely with access to all camera angles. Refs can consult VAR on complicated calls, and big decisions are often overturned. In FM 19, I've learned this the hard way. And so my digital livelihood lies quite literally in the hands of my goalkeeper. The ref blows his whistle. Neuer goes left. Sergio Agüero goes right. The net ripples, and my side's 2019-20 Champions League campaign is all but over. Manchester City will progress to the semi final on away goals, and, having been knocked out of the German Cup and placed fourth in the Bundesliga, I now dread my meeting with the chairman in the morning. I'll blame this season's failures on VAR, of course, but it's more likely my unreliable tactics and unworkable training regimes behind the scenes are to blame. Both tactics and training have been overhauled in this year's Football Manager, and players now have more control over their team's play style than ever before. A thorough but intuitive tutorial leads to the new 'tactical styles' system, which makes replicating real-world formations easier than previous series instalments. Creating your own entirely bespoke lineup is still possible, but borrowing from reality lets you mix and match tried and tested strategies with your own far-fetched plans. Doing so led me down a path of experimentation at Bayern—fully-licensed in Football Manager for the first time, alongside the entire Bundesliga—which has evidently failed the (probably not for long) champions of Germany. After a successful first season, I decided to step away from club's renowned strength, pace and one-touch football philosophy—a style masterfully refined by Pep Guardiola. I switched to an industrious 3-5-2 set up, with a focus on wingers and wide long balls. What can I say, I'm old school. And let's be honest: Tiki-Taka sounds more like a happy hour cocktail than it does a style of play characterised by short and fast passes. Whereas previous Football Manager games required Claudio Ranieri levels of tinkering to nail down personalised tactics, FM 19's system simplifies and streamlines the process, recommending on-pitch roles along the way, with the option to autofill your best-suited squad once the strategy is in place. I cannot stress how helpful that last part is. Likewise, the new system lets you direct your players when in possession, in transition and when out of possession. In turn, this lets you micromanage your play style throughout the entirety of a match—be that pushing wide when moving forward, ordering wingbacks to overlap on specific sides, pressing high up the pitch when things are going your way, and parking the bus Mourinho-style when they're not, among a whole range of options. All of this is complemented by Football Manager 2019's reworked training system. Split into 11 categories, players can now choose from 40 different sessions—such as attacking, defending, set pieces, counter attacking, goalkeeper handling and distribution and loads more. An extension of last year's Dynamics system—which lets you manage player behaviours and social hierarchies on and off the pitch—players can also undertake so-called 'extra-curricular' activities, such as team bonding and community outreach programmes, both of which can help boost team morale. While it's still possible to delegate elements to your backroom staff, FM 19's overhauled training system also grants players more autonomy on the training ground than ever before. Being able to see the direct effect of training on individual players is perhaps the new setup's most important feature, whereby your best and worst players are readily identified ahead of match day. In hindsight, my downfall at Bayern likely began when I refused to play on-form youth players ahead of my underperforming old guard, despite what the training reports said. Or perhaps the tipping point was running my team into the ground. By prioritising physical drills, I found that fitness levels across my team spiked, as did the pace, stamina and strength of the squad as a whole. Conversely, my players were always knackered or injured or both. FM 19 lets you combine sessions tailored to you squad's needs, with schedules designed to prepare for specific, hypothetical scenarios throughout the season. It turns out 'no pain, no gain' is as outdated as you might think. I speak from experience. 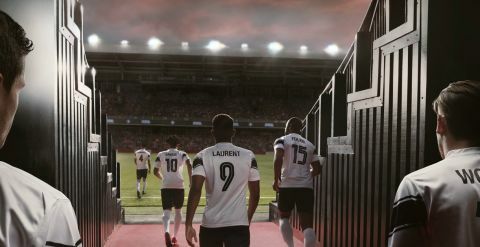 Combine all of this with last year's dynamics system and overhauled medical and scouting systems, and Football Manager 2019 marks another impressive stride forward for the all-encompassing footie management simulator. The long-serving series is the best at what it does, and will be forever judged on its incremental changes year-on-year. Not every annual update is a leap, but this instalment dazzles with both its headline features and a multitude of second tier improvements. Assistants now provide reasons to replace captains, foreign players can reject contracts amid work permit issues, mentoring offers a more involved take on the old tutoring system, and managers can now access their predecessor's scouting reports. And don't get me started on VAR. A quick glance at my squad in the wake of our Champions League exit suggests a dressing room revolt is on the horizon. Club captain Neuer hates me, and it's only a matter of time before the rest of the team follows. No matter, the chairman wants me out by the end of the day. Turns out my old fashioned/outdated football has no place at a club of Bayern Munich's stature. But I guess we'd figured that out already. And so I'm once again unemployed. Perhaps I'll return to Scotland and sign for my beloved Glasgow Celtic. After all, the Scottish Football Premier League is yet to adopt Video Assisted Referees.